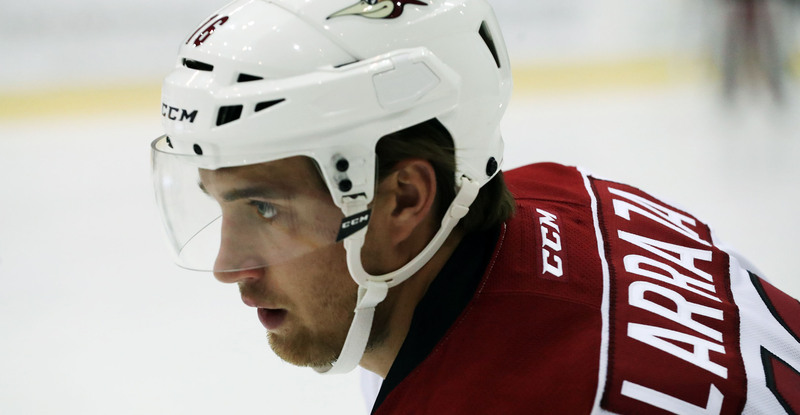 TUCSON, AZ – The Tucson Roadrunners, proud American Hockey League affiliate of the Arizona Coyotes, announced the recall of forward Zac Larraza from the Fort Wayne Komets of the ECHL today. The 6-foot-2, 194 lbs. native of Scottsdale, AZ has registered seven goals and 18 assists for a total of 25 points in 34 games with the Komets this season. Larraza, 25, played in three games with the Roadrunners in October, recording one goal. The Roadrunners return home to Tucson Arena tonight for 50’s Night featuring specialty 50 cent food items. Exclusive ticket packages, including five “Sides” section tickets just $50 are on sale now and can be purchased by contacting for all the team at 866-774-6253.